The National Historic Lighthouse Preservation Act of 2000 (NHLPA) (54 USC 305101-305106) (formerly at 16 USC 470w-7), an amendment to the National Historic Preservation Act of 1966, provides a mechanism for the disposal of Federally-owned historic light stations that have been declared excess to the needs of the responsible agency. The NHLPA recognizes the cultural, recreational, and educational value associated with historic light station properties by allowing them to be transferred at no cost to Federal agencies, State and local governments, nonprofit corporations, educational agencies, and community development organizations. These entities must agree to comply with conditions set forth in the NHLPA and be financially able to maintain the historic light station. 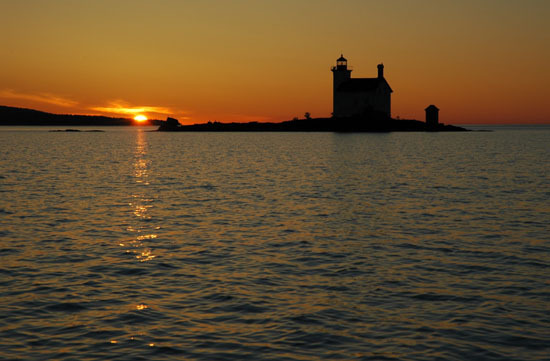 The eligible entity to which the historic light station is conveyed must make the station available for education, park, recreation, cultural, or historic preservation purposes for the general public at reasonable times and under reasonable conditions. Only those light stations that are listed, or determined eligible for listing, in the National Register of Historic Places can be conveyed under this program. The nomination for listing, or determination of eligibility, is prepared by the U.S. Coast Guard (USCG) following guidelines set forth in 36 CFR 60.9(c) and 36 CFR 63, respectively, as part of their responsibilities prior to the property being transferred to the GSA inventory for disposal. Light stations that are not eligible for listing will be disposed of through other processes. Prior to the NHLPA, historic lighthouses could be transferred to state or local agencies through the National Park Service?s Historic Surplus Property Program or the Federal Lands to Parks Program. Please choose an item from the menu on the left to learn more about the National Historic Lighthouse Preservation Act Program. Gull Rock Light in Lake Superior, near Keweenaw Peninsula, MI.